Millions of homes built before 1978 contain lead paint, which poses a serious hazard to children under the age of 6. Construction Worksite Compliance Guide answers the most common questions about the requirements as mandated by the EPA's Renovate, Repair and Painting (RRP) rule and OSHA regulation 29CFR 1926.62. 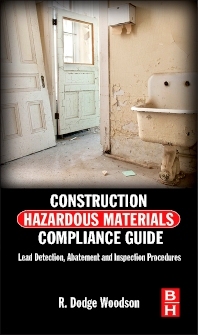 Packed with checklists, tables and "quick lookup" materials, this manual provides a step-by-step approach to determining job requirements and cost, assigning environmental responsibility to all parties, answering environmental questions, and conducting comprehensive worksite audits in the pre-bid phase of a renovation project.